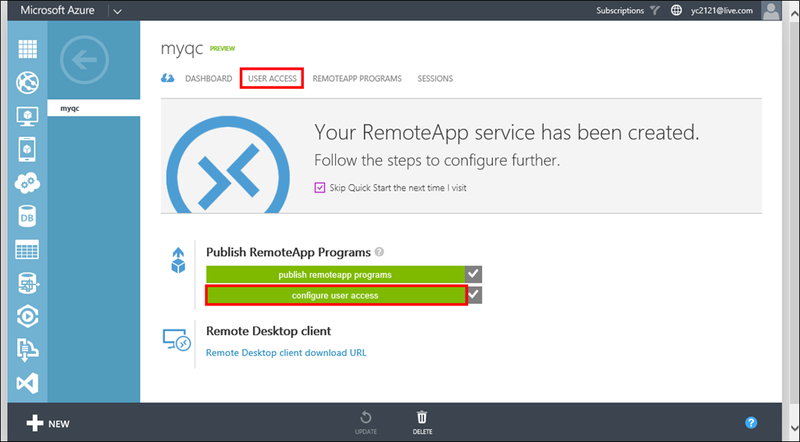 Microsoft Azure RemoteApp is a solution which can be rapidly deployed for anywhere accessing remote resources with a variety of devices including Windows, Mac OS X, iOS, or Android. A user will install a Microsoft Remote Desktop client on an Internet-connected laptop, tablet, or phone and access RemoteApp applications running in Microsoft Azure, as if they were running on the user’s local computer. 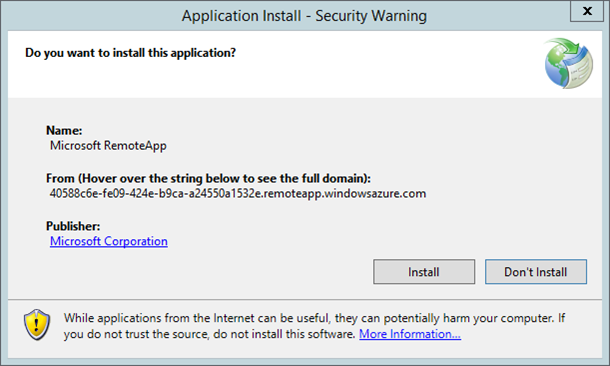 Notice that the stand URL to acquire Microsoft Azure RemoteApp client is https://www.remoteapp.windowsazure.com/. 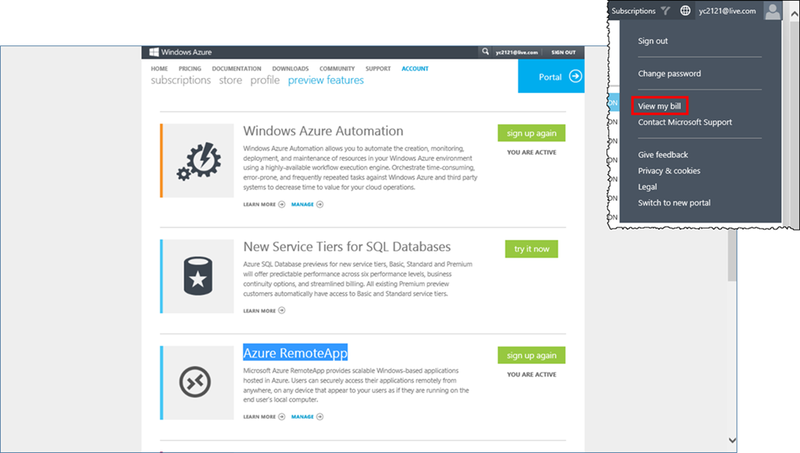 A Microsoft Azure subscription can create up to five RemoteApp services. Here’s an introduction. 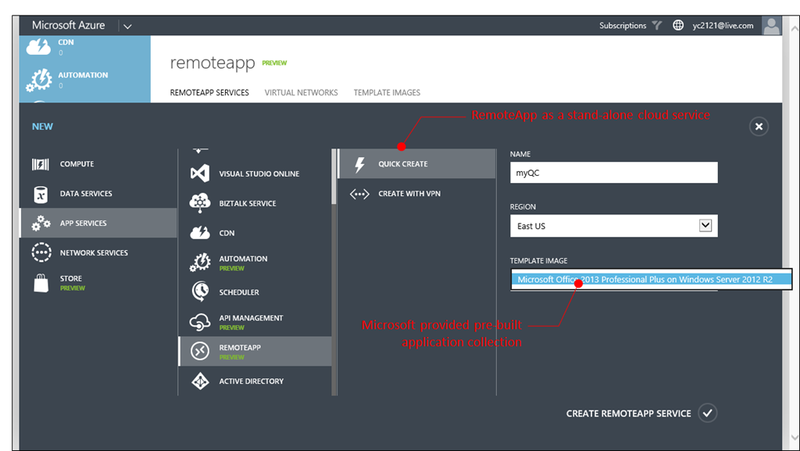 IT also has an option to deploy RemoteApp as a stand-alone cloud service with Microsoft pre-built application collections or integrated with on-premises RDS infrastructure by bringing your own RDSH. The former is quite easy to set up and what this blog post presents. 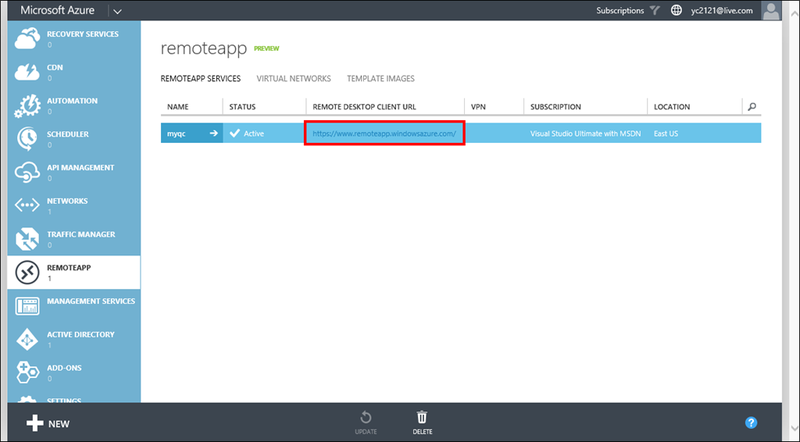 While the latter is a hybrid deployment scenario bridging on-premises RDS infrastructure with RemoteApp service in the cloud. 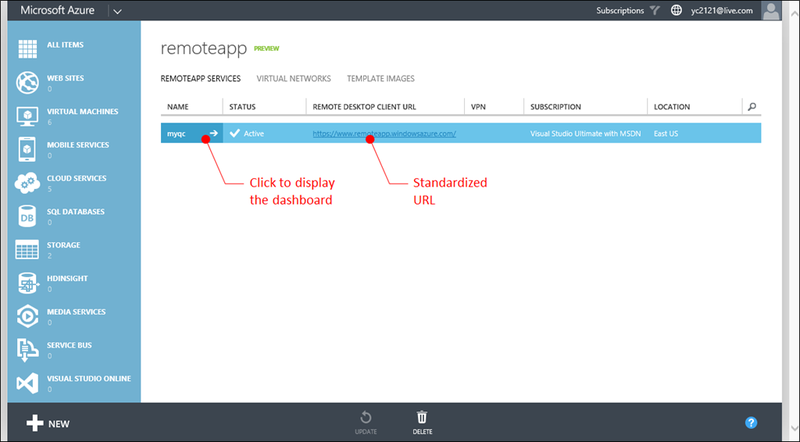 In this case, IT will need to create a virtual network with defined address spaces and establish VPN connectivity between on-premises network and Azure RemoteApp. 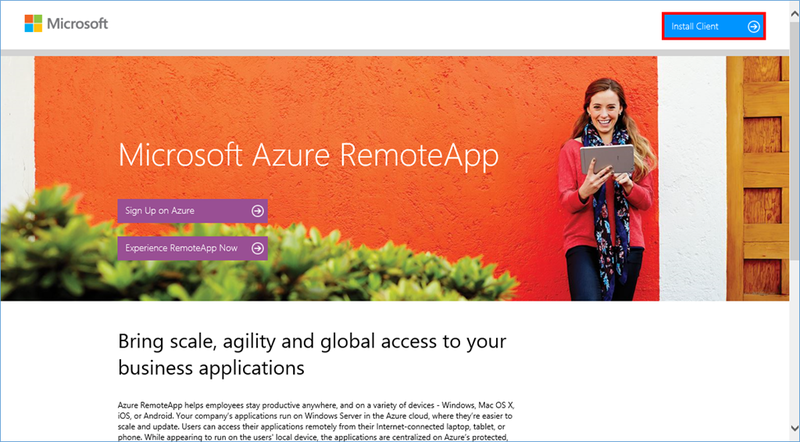 IT now has an option to enable users to access corporate applications from anywhere and on a variety of devices by employing Azure RemoteApp without the need to deploy on-premises infrastructure. 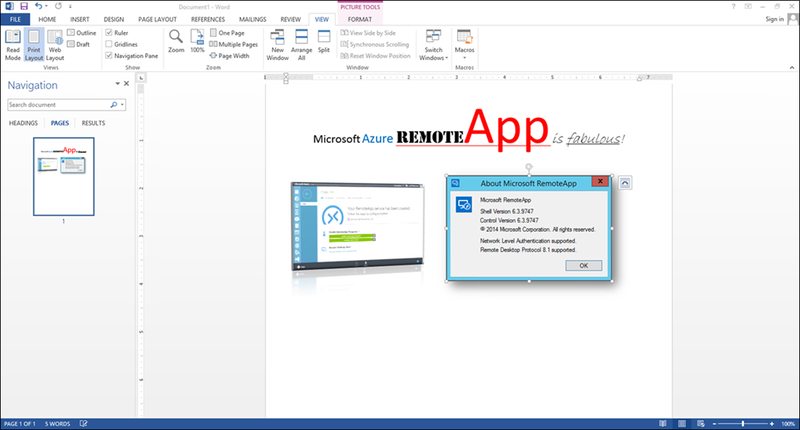 Both the application deployment and the user access of Azure RemoteApp are provided as services, while RemoteApp applications are centralized, protected, and running in Microsoft Azure which can publish, scale, or unpublish corporate applications on demand, as business needs change. Overall, RemoteApp is a cost-effective solution for today’s dynamic business environment and a best-fit for serving fluctuating workforce or fast-changing business requirements. 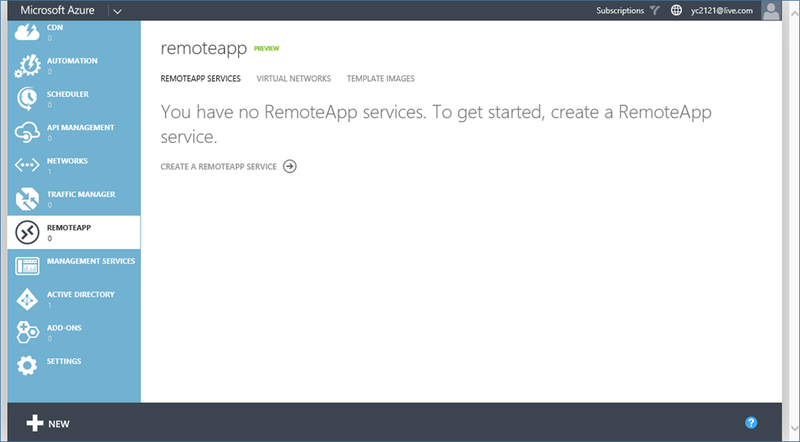 To assess RemoteApp, a Microsoft Azure subscription is required. 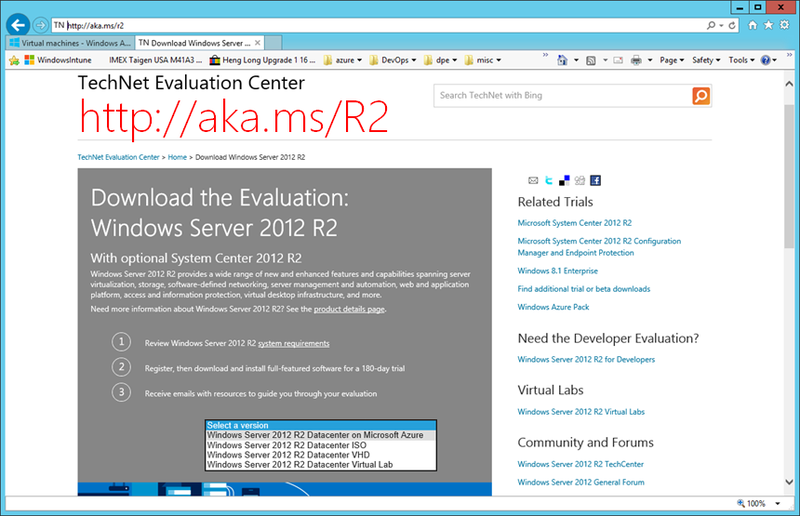 Freely available is a 30-day trial subscription at http://aka.ms/R2 which is a Microsoft landing page for downloading evaluation copies of Windows Server and System Center products. There is also an option to deploy Windows Server 2012 R2 Datacenter on Microsoft Azure. 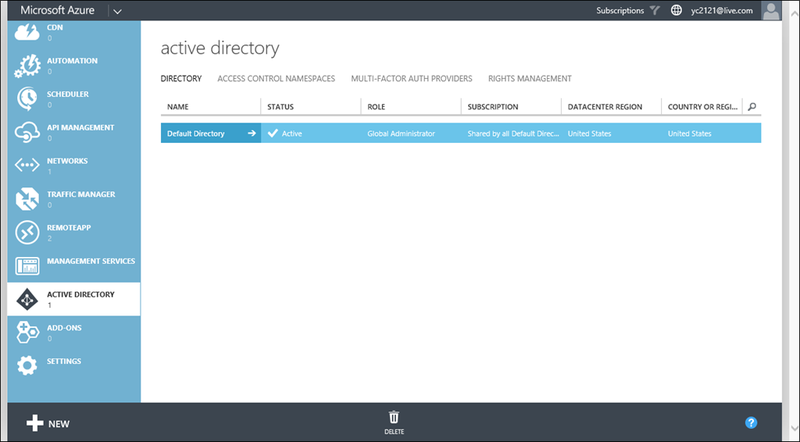 This is the option to start a registration process for acquiring a Microsoft Azure 30-Day trial subscription. To ensure identity, credit card information is required. However, prior to the expiration a trial subscriber will get email notification to op-in or op-out. 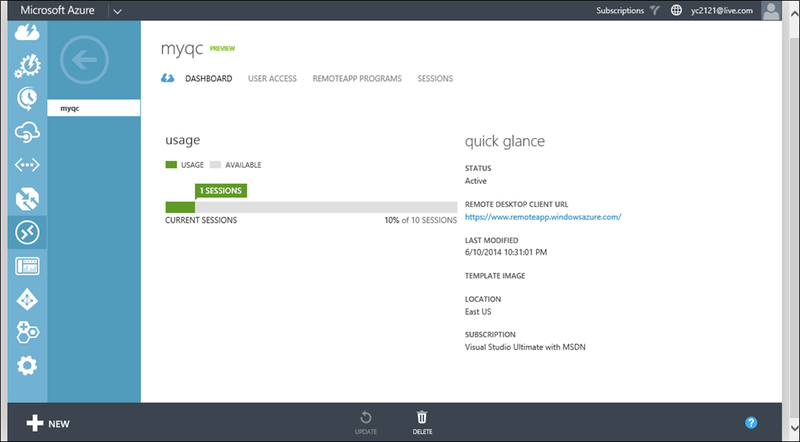 It is a direct way to test Microsoft Azure in production, live and free. 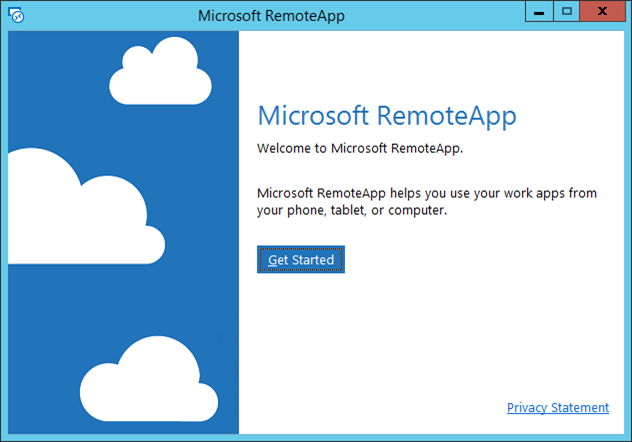 As of June 2014, RemoteApp is still in preview and one will need to sign up the preview feature to make the RemoteApp option available, once approved. 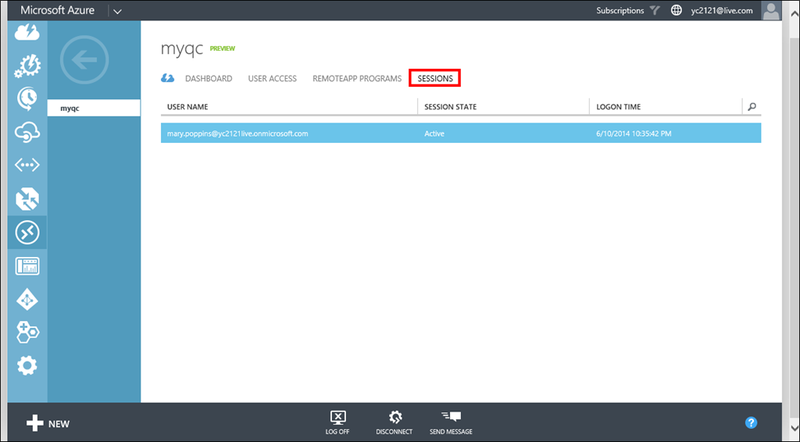 After logging into Microsoft Azure Management Portal, a subscriber can access preview offerings by clicking the View My Bill option of the dropdown menu form the subscriber ID on the upper right corner. And notice in general the approval process of activating a preview feature is not immediate and some may take up a few days. Once approved, the feature becomes available from the left navigation pane. 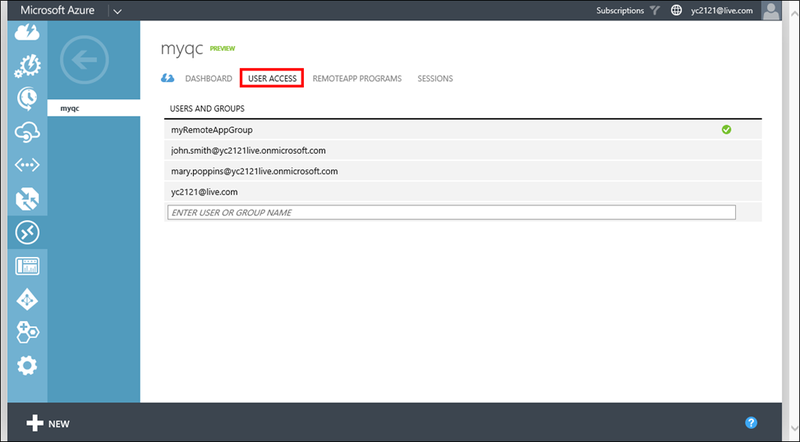 Quick Create is to deploy RemoteApp as a Stand-Alone cloud service. 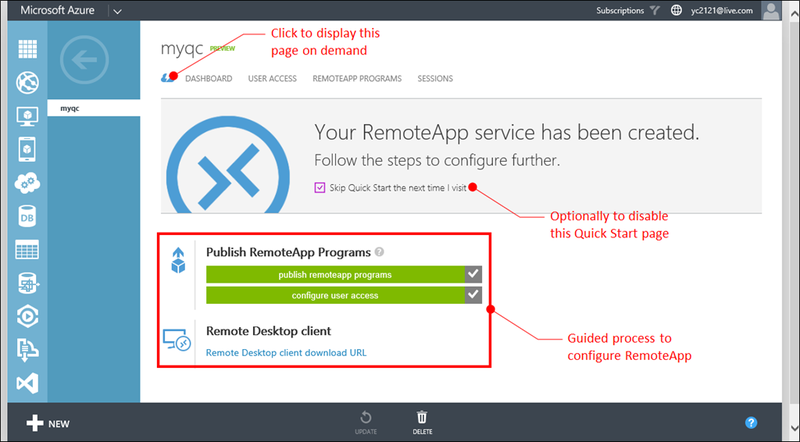 A RemoteApp deployment may take about 30 minutes for Azure to complete. The process followed is to publish applications, configure user access, and installing the client. It is very straightforward. When entering a user or group that you want to grant access to for this service. Use the “user@domain” or “domain/user” format. 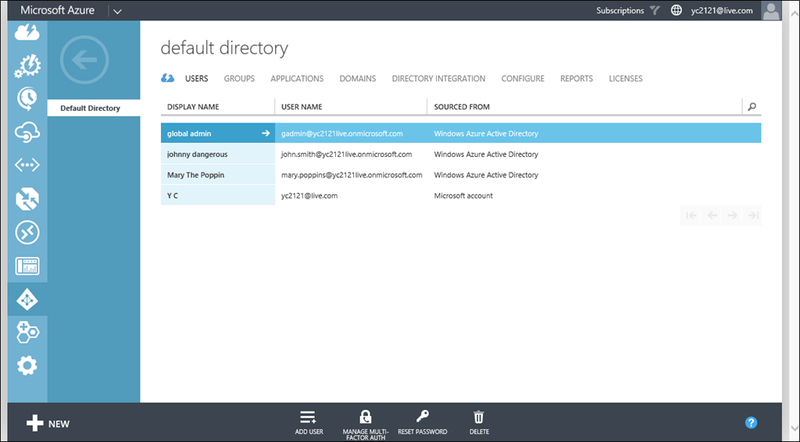 The user must be either a Microsoft Account, or a user or group account homed in the Default Directory of Azure Active Directory. 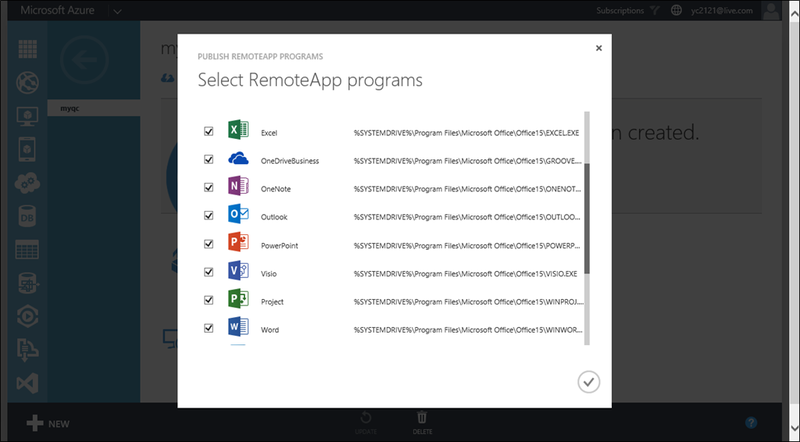 Start with REMOTEAPP workspace by clicking +NEW. 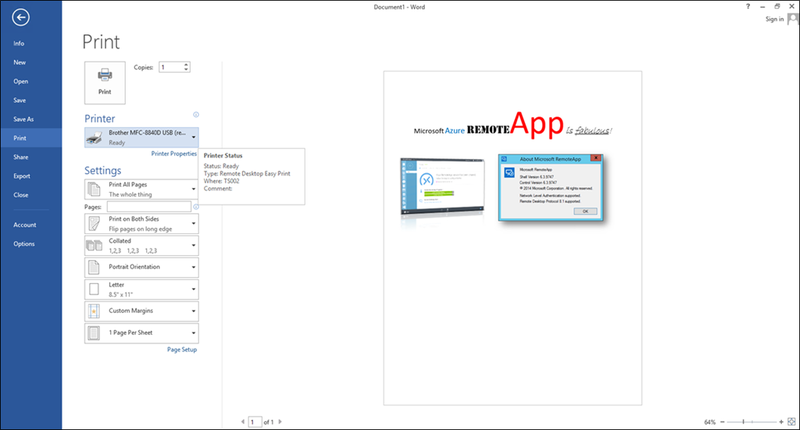 Here, just click Quick Create, specify a name, a region, and an application collection. Once created, click the name or arrow to display the dashboard. 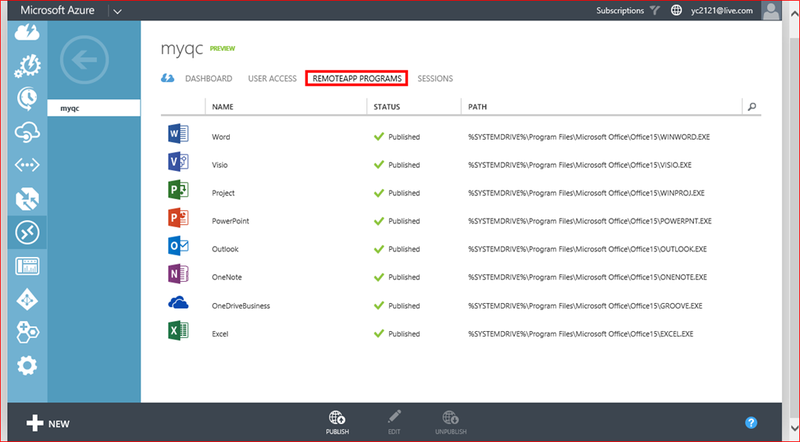 Like other Azure offerings, by default Quick Start page is first shown. 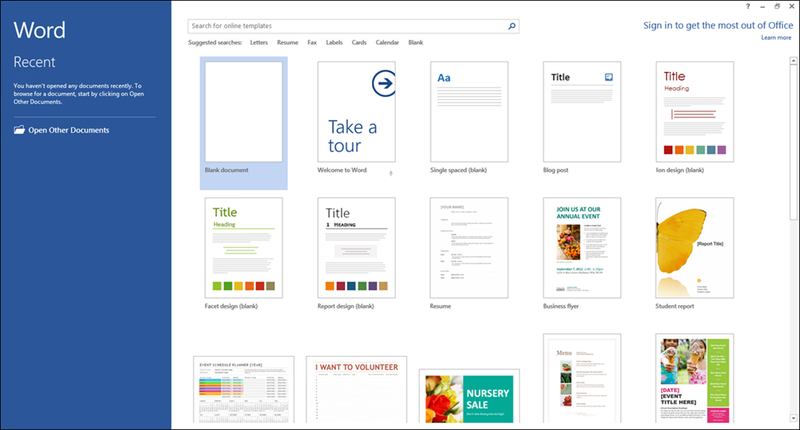 A Quick Start page usually presents essential information and is a great resource page. As described in the Quick Start page, publishing RemoteApp programs, configuring user access and installing the RemoteApp client is the process to configure a RemoteApp service. Click either one to display the application collections. Identify applications to be published and save the settings. When entering user information, use the “user@domain” or “domain/user” format. 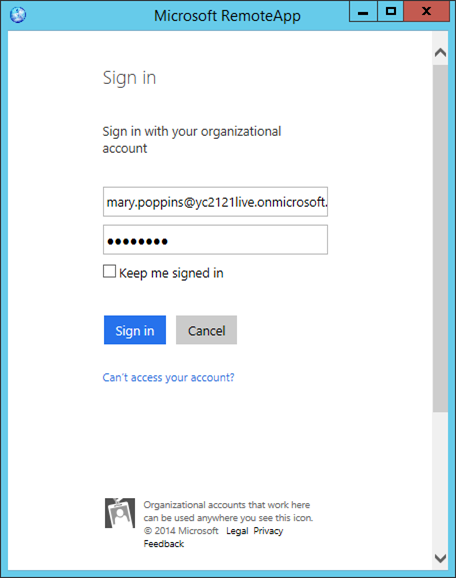 The user must be either a Microsoft Account, or a user or group account homed in the Default Directory of Azure Active Directory. Pick an intended client. Here, I picked Windows x64 client. 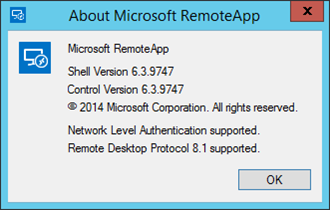 Starts an installation of the RemoteApp client. 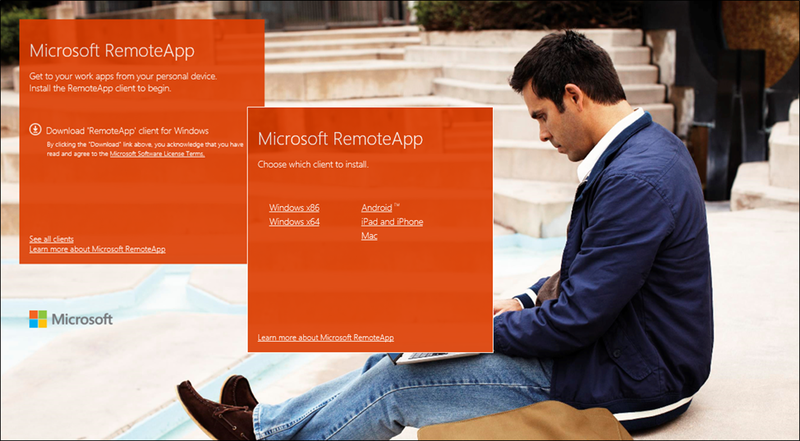 The RemoteApp tile is placed in APPS page, once the client installed. Start configuring the user information. Once authenticated, the published applications are displayed. This is the About information. Here’s Office Word coming up. 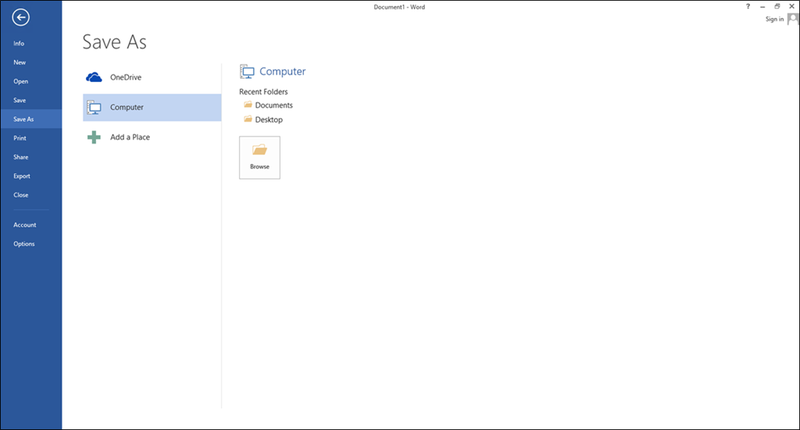 Can save a file to OneDrive or locations visible to local File Explorer. In this final installment of Features On Demand for Windows Server 2012 R2 series, I walked through a simple scenario on how to develop a minimal server footprint by removing the payloads of all unwanted roles and features from a target configuration. In Part 3 of his series focused on Features On Demand for Windows Server 2012 R2, I demonstrated how to use Server Manager PowerShell Cmdlets for adding/removing roles and features of a server installation.